In the bustle and busyness of daily life, it is easy to exist on autopilot. Our responsibilities, habits, consumptions and details unfold, moment to moment, without much consciousness of what we are doing, or how we feel about it. Undercurrents of angst, fear, sadness, or fatigue may simmer just beneath the surface of awareness as a general unease, yet we do not often take the time to explore its nature. When dis-ease does arise in the body or in the mind, we are not always aware of its source nor what we may need to take care of ourselves. We may try to seek out balance through self care – exercise, bodywork, psychotherapy, medicines..etc, with some relief. However these too can become ‘to-do’s’ on a never-ending hamster wheel that too commonly defines our existence. Mindfulness and meditation are important tools to bring into our daily life in order to slow down, simplify, soften and to invite a clearer perspective of what is here. Developing a daily practice of meditation, and nurturing informal mindfulness, requires effort and a will to create something new in our lives. Books, blogposts, TED talks, Facebook posts and conversations are often our initial inspiration. These may lead us to a workshop or a course in meditation, and we begin to invite this practice into our days. 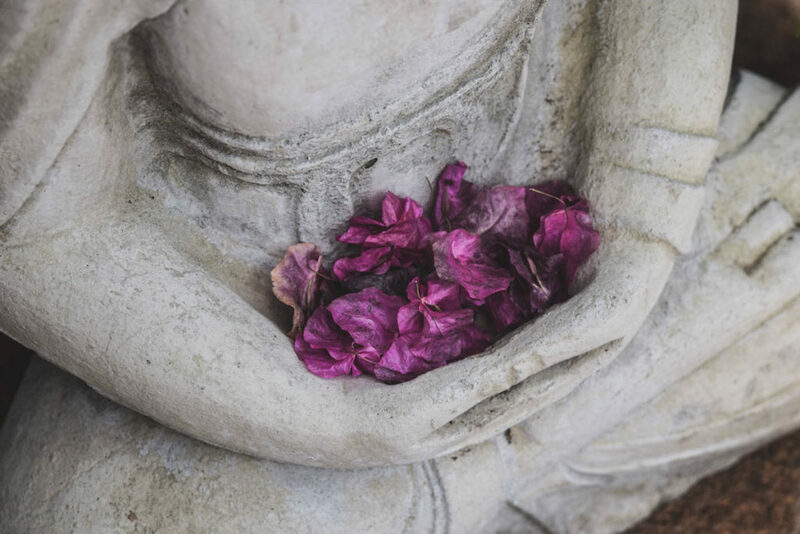 As we nurture a regular meditation practice in our life, we begin to glimpse our authentic self – the peace, joy, needs, and suffering – that exists often just beneath our day to day awareness. Visiting this practice with increasing regularity we awaken from the numb slumber of overbusyness and mindfulness spills into our lives in rich and surprising ways. Creating a regular mindful practice can be fraught with challenges, however, as so many details pull on our time and resources, and as self care can easily fall lower and lower on our list of priorities. Maintaining a meditation practice requires creating a new habit in our life. In order to do this we must bring an awareness to the old habit of overbusyness and, in turn, invite a kind and purposeful effort towards creating something new. This can be difficult work, and it is common to see people practice their meditation regularly for a time, and then for it to fall off as the momentum, and the will, fades. How do we develop and stick to a meditation practice? In a two part series of articles I will explore the importance of retreat and mindful community as two important and time tested tools that enable us to maintain a practice as well as the benefits that this practice brings to our moments and to our relationships.